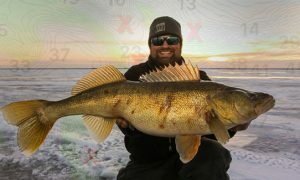 Ryan Harrenstein Pinpoint’d (MotorGuide’s anchor mode) his new PB walldawg, a 32.5″ Moonshine Shiver Minnow eatin’ freak — wow! 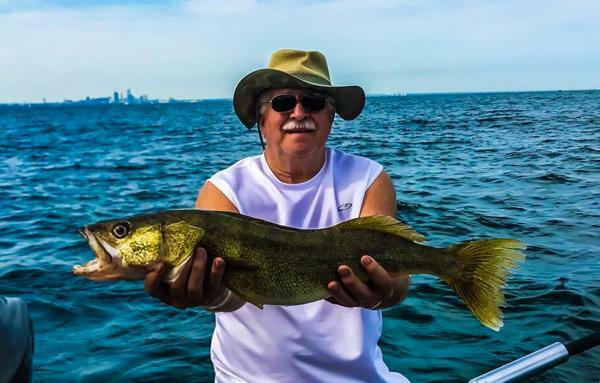 Nicole Fender and her dad trolled their way into some Lake Erie hawg-bellies. 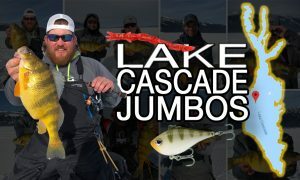 Don’t know what baits, but could be ‘cuz of the #LuckyHat? 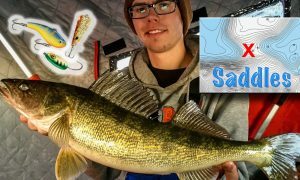 How to get started pulling leadcore. 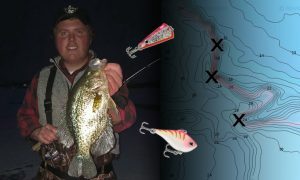 > More than just a search tool, it can be an effective way to target spread-out fish…when pulling live-bait rigs and even spinners takes too long between pods. 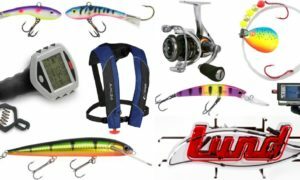 > The cornerstone of every good leadcore program is a M to MH, moderate-action trolling rod, paired with a slightly oversized line-counter reel and 18-lb leadcore line. 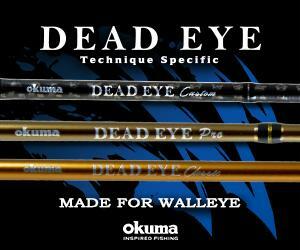 > Leadcore line is marked by a different color every 10 yards, so a full-core would be 10 colors or 100 yards. You probably won’t need to dive to this depth, but it’s a good starting place to get you acquainted with the method. 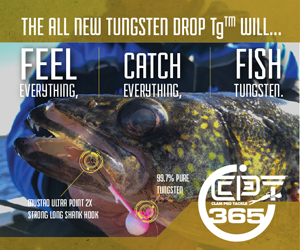 > Standard leadcore dives on average 5′ per color, but Sufix 832 Advanced leadcore dives 7′ per color (more depth with less line out). 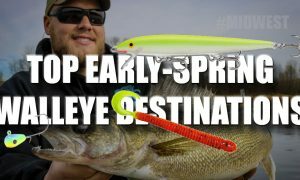 Joel uses a slick reverse-spooling hack so he knows exactly how much backing to put on under the leadcore to perfectly fill the spool. Works great for regular braid too. > Unsheath the end of your leadcore, and pull out 6″ or so of the lead. 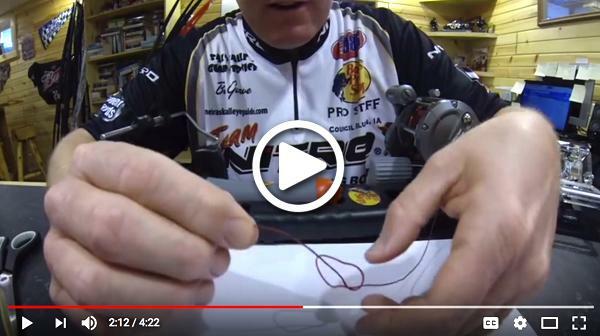 Pull the sheath back down and use it to tie a braid-to-mono, or braid-to-braid knot. 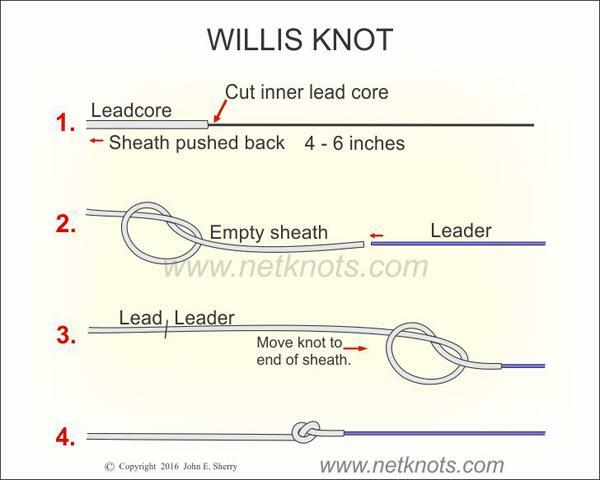 [Have more info on different leadcore knots in Top Item 3]. 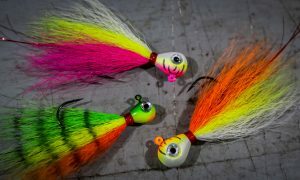 > Areas where I’m trolling with zebra mussels, I run a 3-5′ section of braided leader, then a snap, then my lure. 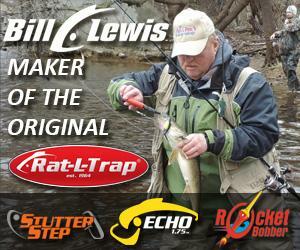 On ultra-clear water I run a 30′ leader of 10-lb fluorocarbon so it’s less visible. 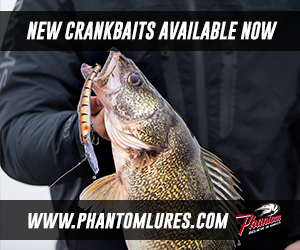 > Any crankbait runs well with this scenario, as do spinners and a variety of other lures designed to be pulled. > Start by letting out a few colors of line while going 2.2-3.0 mph. Let out line evenly to prevent overruns and keep kinks and tangles to a minimum. 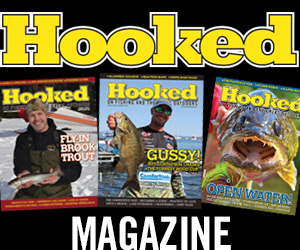 When leadcore knots, the interior lead can break and poke out in places. 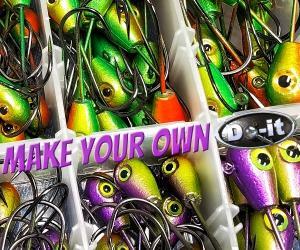 > Deep-diving crankbaits should be let out until you’re occasionally making contact with bottom. 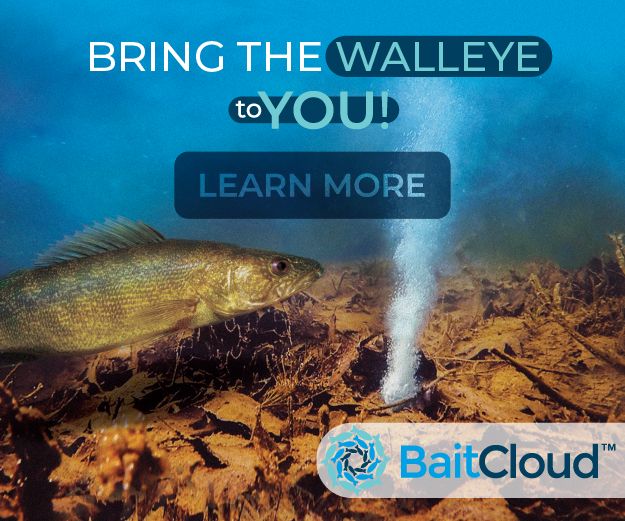 You don’t want to be digging in constantly…this causes baits to wander, then tangle. > Pull along gradually similar depths, and as you get better…work your way towards pulling along breaks. 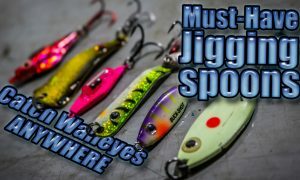 Those of you looking for more advanced leadcore tricks (with planer boards, segmented, shallow water, etc) can find ’em right here. 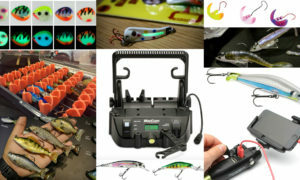 > Don’t need to set the hook, let the fish fight for a bit before grabbing the rod out of the holder…helps drive the hooks in and tire ’em out. 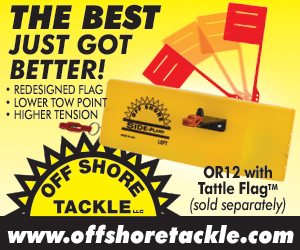 > No need to pump the rod…apply a steady and slow pace when reeling. 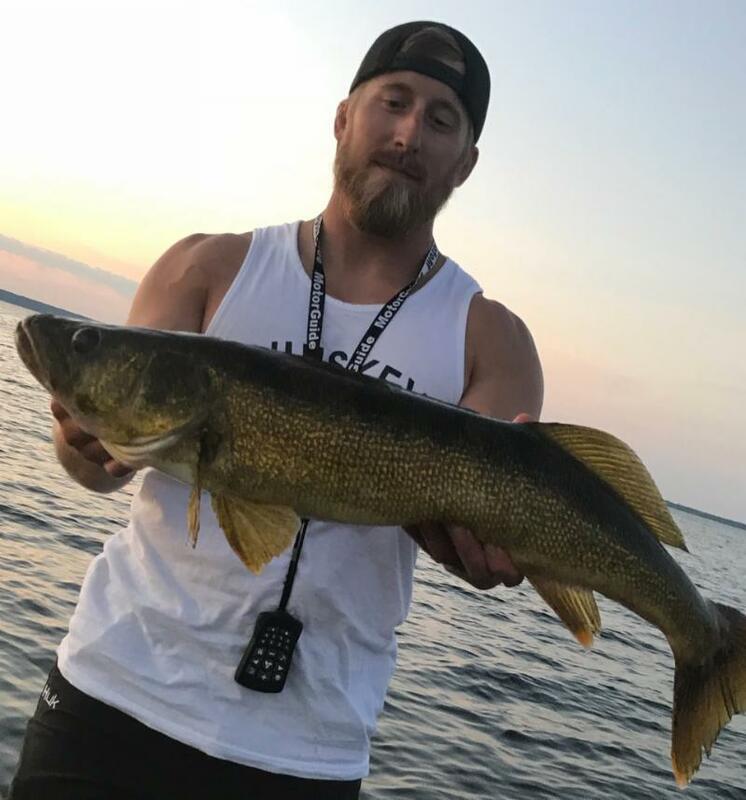 If the fish wants to run, let them. 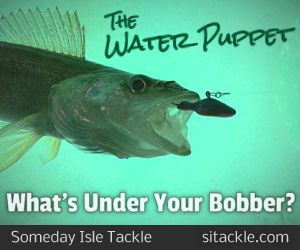 Don’t horse ’em in — you’ll tear the hook out. > Check your drag. Set it on the loose side due to the low stretch factor of the line. This helps to prevent hook tear outs. 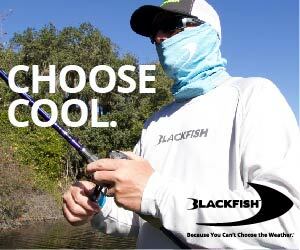 > Keep the rod tip low to the water…keeps the fish from flopping on the surface and reduces the risk of them coming loose. 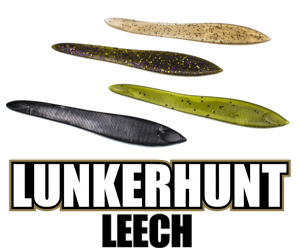 > Run larger, deeper diving lures. For example a #7 on the inside lines and a #5 on the outside lines…will stagger the amount of line deployed preventing fouling. Keep reading Kirt’s full write-up here. Best ways to connect leadcore to your leader. 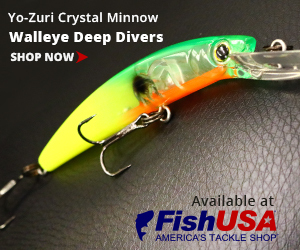 Lotta guys run a small #10 or #12 swivel to connect the leadcore to their leader. 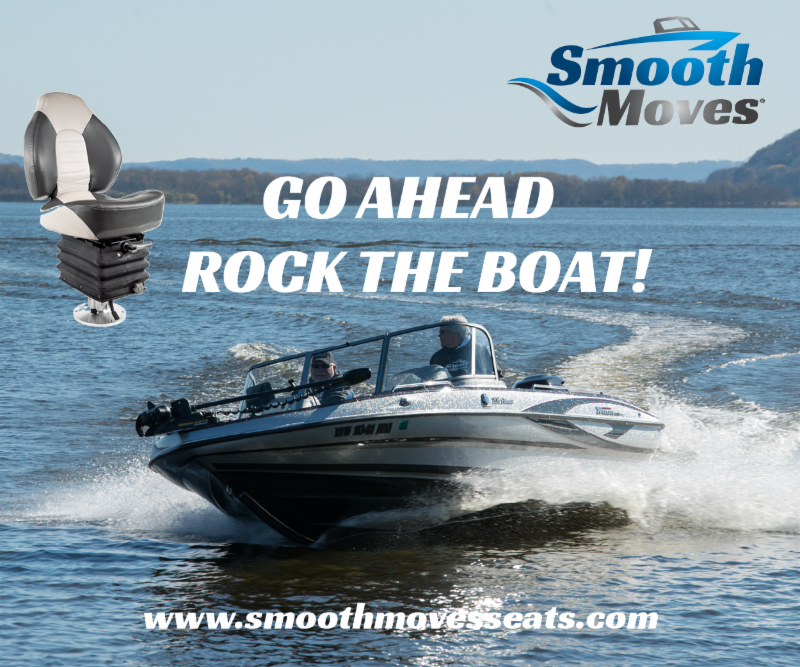 Works great most of the time, but too big of swivel can get hung up on the rod tip when fighting a HUGE fish…then you’re left with a biggun flopping off 10′ or so behind the boat. Doesn’t happen often, but nothing worse than when it does. 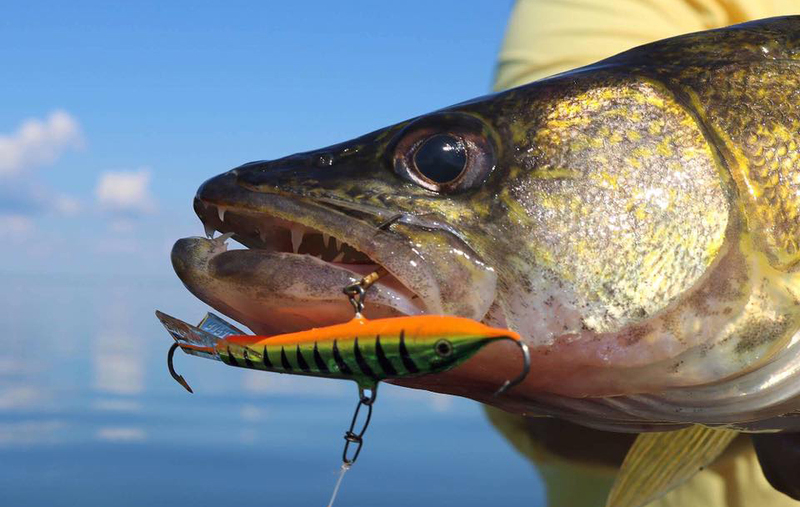 Have heard of guys using a sewing needle to help fish the leader into the sheath — great idea if you’re not a surgeon with 20/20 vision…. Will either run the needle through backwards or dull the end so it doesn’t poke through. 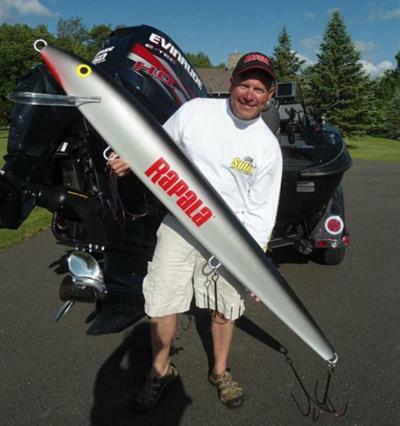 Brad Hawthorne uses the same bobber stop all season! 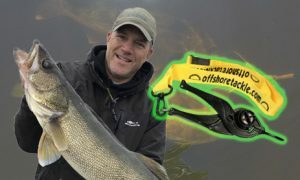 Sitting at home re-watching the power bobbering for walleyes video I shot with Brad Hawthorne on Lake of the Woods, and got to thinking ’bout how much I hate bobber stops. 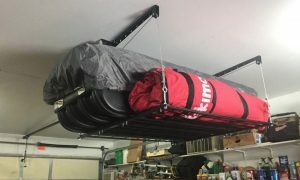 Always seem to (eventually) slide and end up havin’ to retie the whole rig. 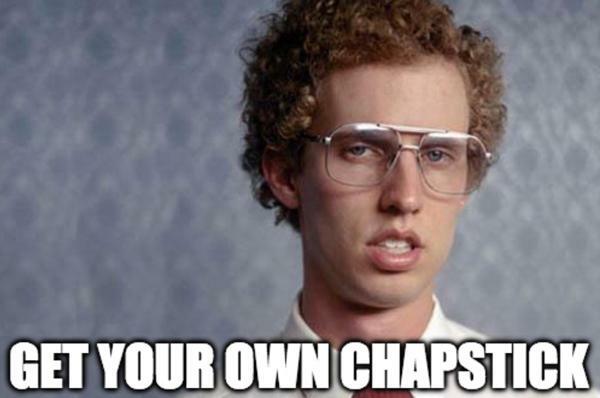 > Takes a thumbnail full of Chapstick on his pointer finger and mushes it all up in the knot before he tightens it down…keeps it semi-waterproof. > Leaves about 1/8″ tag on each side so there’s just enough to re-tighten if need be, but slightly burns the ends with a lighter so they don’t fray. Can use the same stop for a full season. 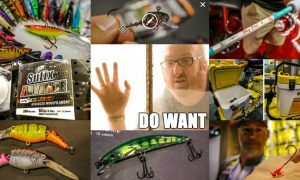 Why it’s so important to keep steady pressure on ’em and guys like Al Lindner recommend running mono to absorb the shock. 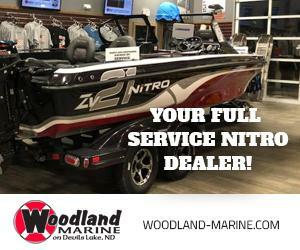 …coming off the Devils Lake, ND qualifier. 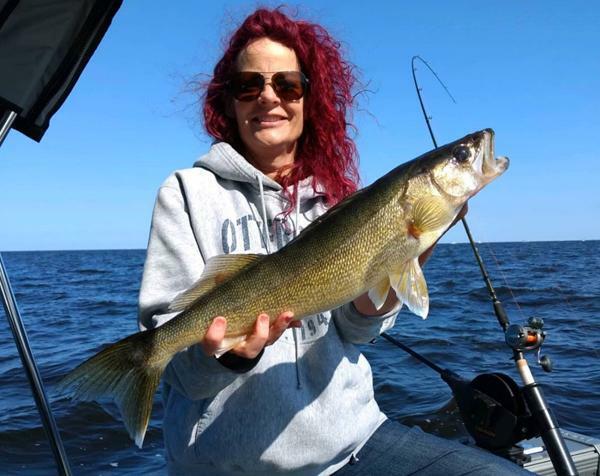 …outta Lake Scugog which had banned walleye fishing at the time to help boost the population. 3. 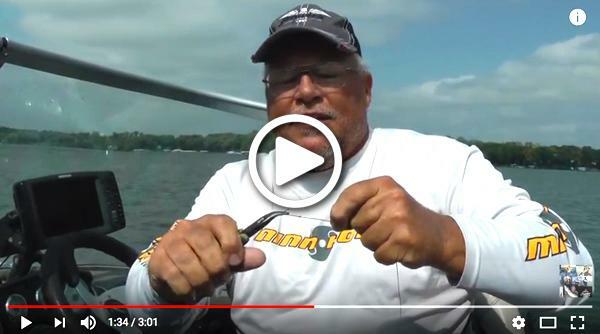 MN: Lake of the Woods tackle checklist (video). 4. 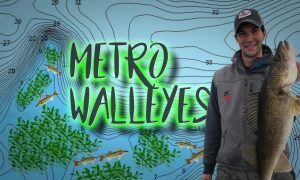 IA has 20-foot walleyes. 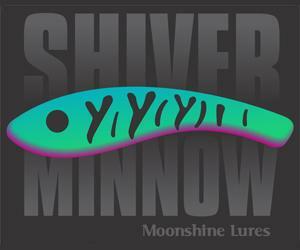 Will be put on display somewhere near the Cedar River. 5. 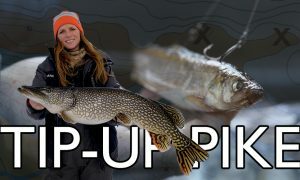 Great Lakes restoration program now fully funded. 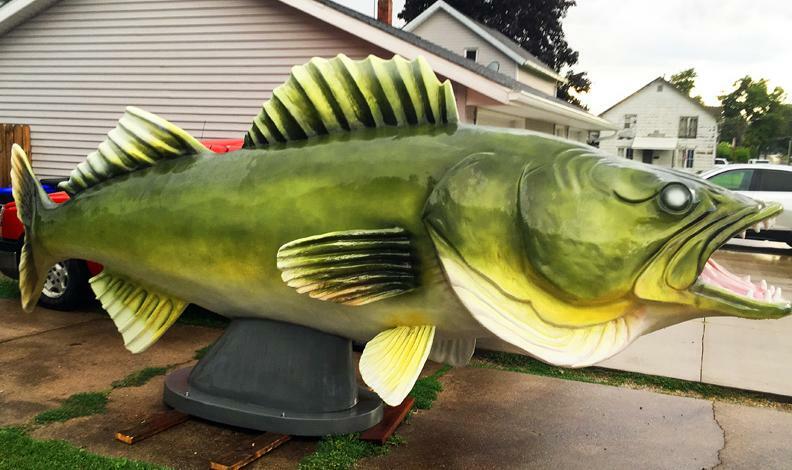 Federal deal, includes anti-Asian carp stuff. 6. 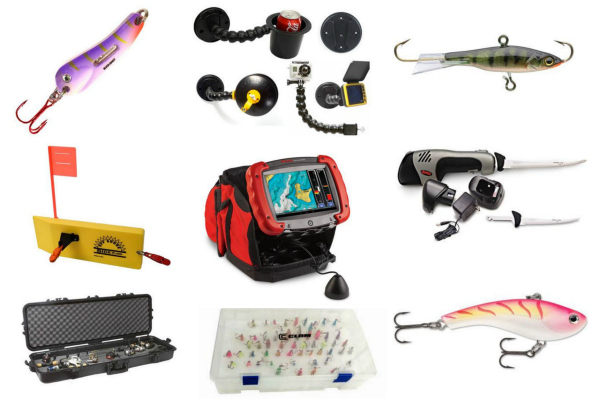 Lowrance HDS Carbon series up to $1,000 off. 7. MN: New DWI law. > Called “Little Alan’s Law,” in memory of Alan Geisenkoetter Jr. A new law [took] effect on Aug 1…takes away a person’s privileges to drive ALL vehicles — car, boat, ATV and snowmobile — if they’re convicted of driving while intoxicated. 8. 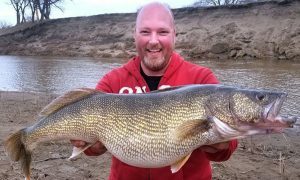 IL: Asian black carp in Horseshoe Lake. Great, another species of these things! 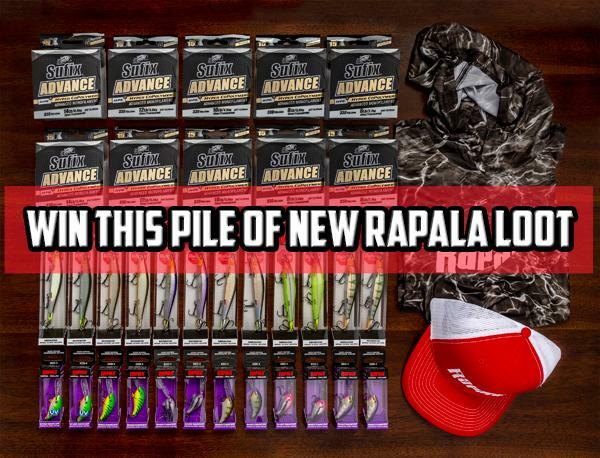 Have a shot at winning all this BRAND NEW Rapala loot just released at ICAST, including: 10 spools of Sufix Advance Mono (has 50% LESS stretch [!] 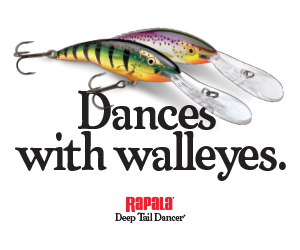 than standard monos), smaller #4 Shad Dancers, bigger #12 RipStops, and some new Rapala swag! Same as before: Just enter your email addy. Share the link you get for bonus entries — good luck!! 1. 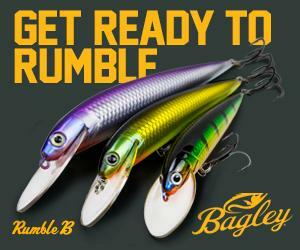 WI: AIM state championship, Lake Winnebago, Aug 3-4. 2. WI: Green Bay MWC, Aug 3-4. 3. 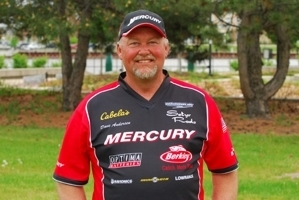 MN: AIM state championship, Lake of the Woods, Aug 17-18. 4. 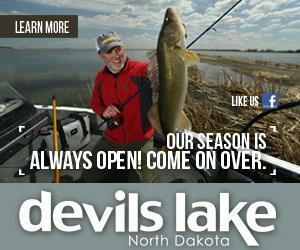 ND: AIM state championship, Lake Sakakawea, Aug 24-25. 5. 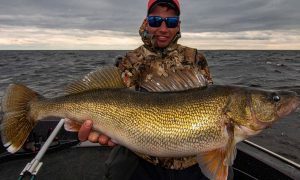 MN: NWT championship, Lake of the Woods, Sep 5-7. 6. 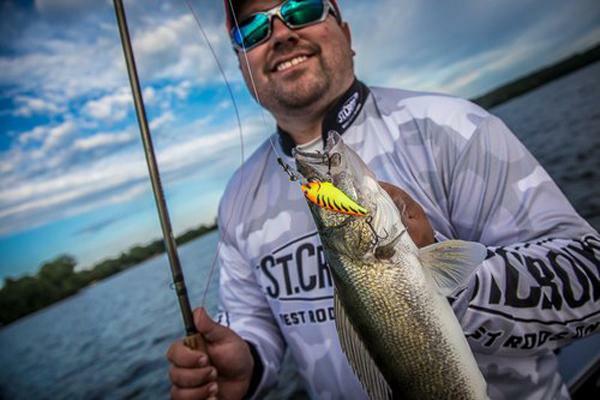 MN: Cass Lake MWC, Sep 14-15. 7. 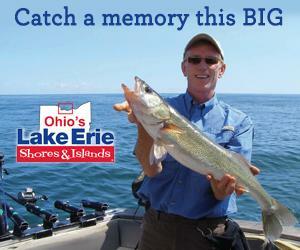 MI: MWC world walleye championship, Bays de Noc, Oct 4-6. 8. 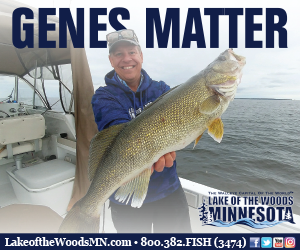 MN: Fishing to End Hunger charity tourney, Gull Lake, Oct 6. Great cause, plus there’s $25K paid out to the top 6 spots. 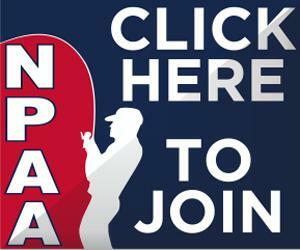 Save $100 on the entry fee if you sign up by Aug 6. 9. 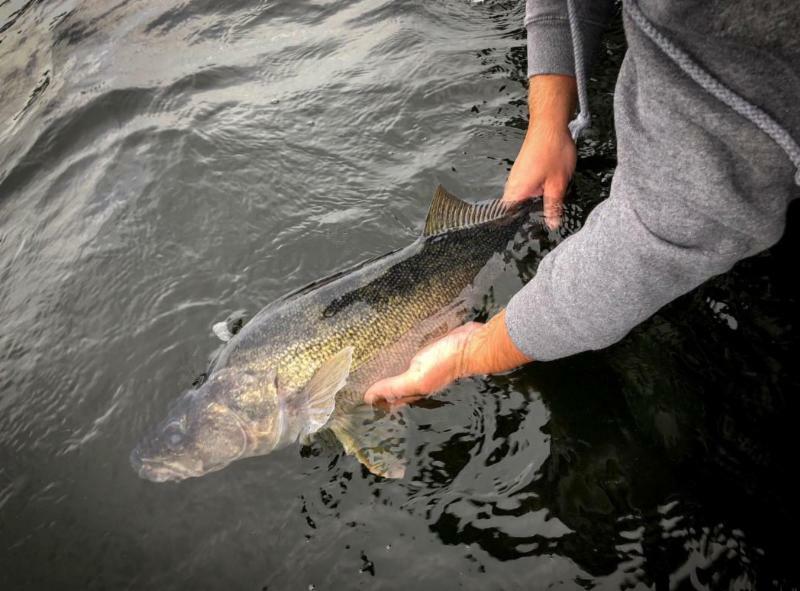 MN: Fishing Careers Workshop, Brainerd, Oct 27. 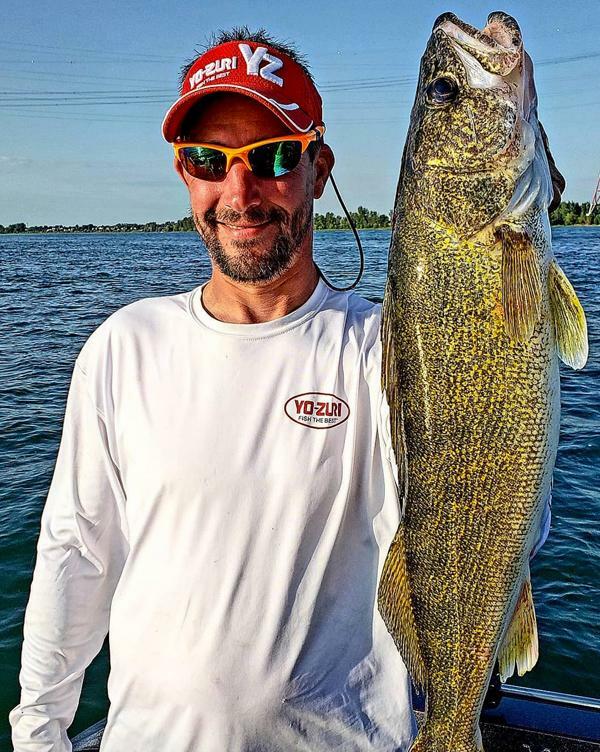 There’s more ways to break into the fishing biz than you’d think, and you can learn how at this Al and Troy Lindner co-hosted workshop. 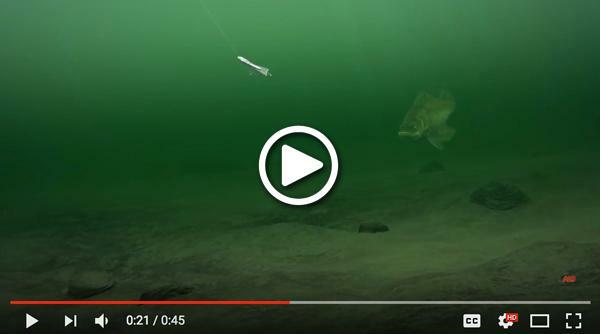 Quick tip: Don’t reel in too fast. 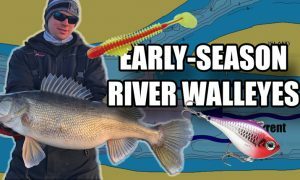 Also true for Rapala Jigging Raps, Phantom Tillys, all hard-bodied jigging baits. 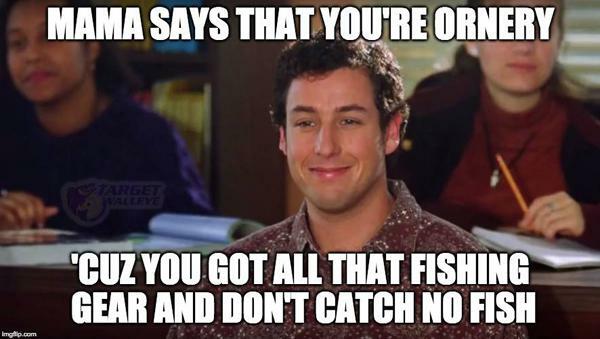 Any of your fishing buddies fit the description?